To celebrate the 100th day in my 4th grade Spanish immersion activity, we did a language poster activity that I believe you could adapt for English, too. 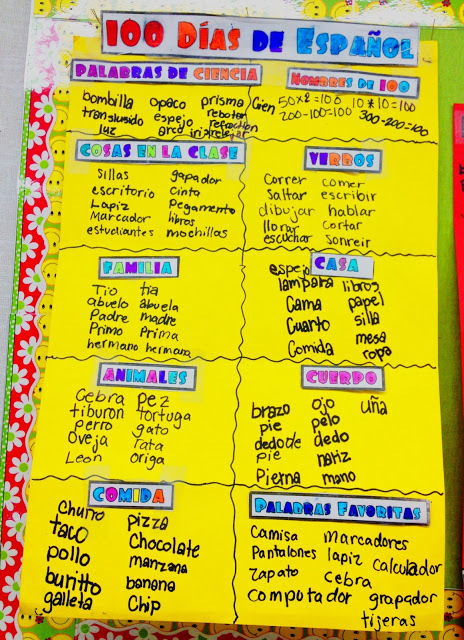 2) I created a page with a header and ten category labels – comida, cuerpo, familia, verbos, nombres de 100, cosas en la clase, animales, casa, palabras favoritas, and palabras de ciencia (since I teach science and math only). 1) They cut and pasted the header and labels onto the ten different sections. 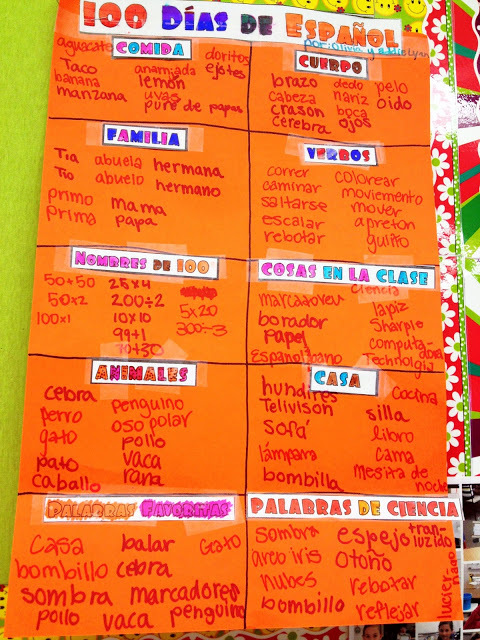 2) In each category box they wrote ten different words in Spanish. If they didn’t know the word in Spanish or how to spell it correctly, they went to Google Translate on the two students computers and three iPads. 3) “Nombres de 100” was actually a mathematical category where they had to write ten different problems or ways to show 100. 4) Students worked in pairs. I had one group of three, and they creatively each used a different colored marker to show which students wrote what words. 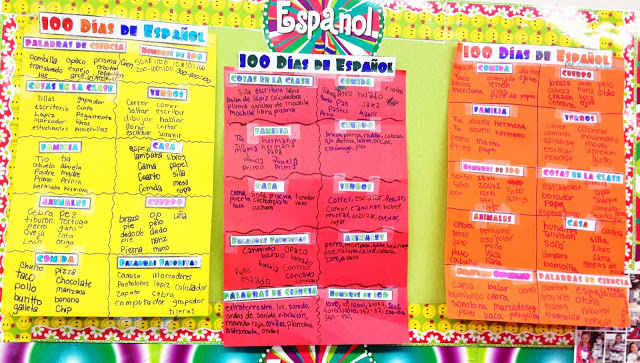 If you’d like to do this in Spanish, click here for the labels. 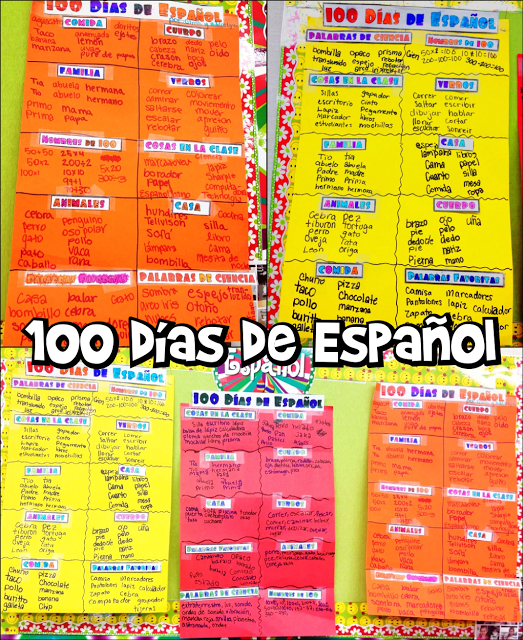 How did you or how are you going to celebrate the 100th day in your classroom? Fun idea! I have a website, Spanish Playground, and I think my readers will love it. Thanks for sharing!